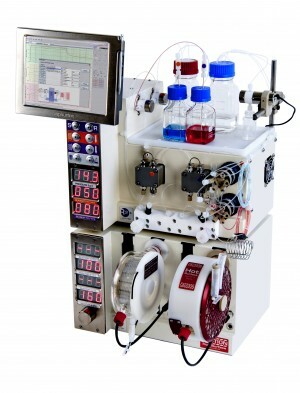 The efficiency gains produced by continuous-flow systems in conducting photochemical transformations have been extensively demonstrated. Recently, these systems have been used in developing safe and efficient methods for photo-oxidations using singlet oxygen generated by photosensitizers. Much of the previous work has focused on the use of homogeneous photocatalysts. 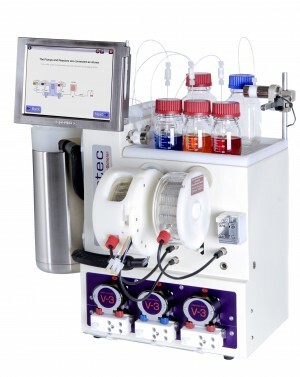 The development of a unique, packed-bed photoreactor system using immobilized rose bengal expands these capabilities as this robust photocatalyst allows access to and elaboration from these highly useful building blocks without the need for further purification. With this platform we were able to demonstrate a wide scope of singlet oxygen ene, [4+2] cycloadditions and heteroatom oxidations. Furthermore, we applied this method as a strategic element in the synthesis of the high-volume antimalarial artemisinin.